There’s a fiction at the heart of the debate over entitlements: The carefully cultivated impression that beneficiaries are simply receiving back their “own” money. One day in 1984, Kurt Vonnegut called.I was ditching my law school classes to work on the presidential campaign of Walter Mondale, the Democratic candidate against Ronald Reagan, when one of those formerly-ubiquitous pink telephone messages was delivered to me saying that Vonnegut had called, asking to speak to one of Mondale’s speechwriters.All sorts of people called to talk to the speechwriters with all sorts of whacky suggestions; this certainly had to be the most interesting. I stared at the 212 phone number on the pink slip, picked up a phone, and dialed.A voice, so gravelly and deep that it seemed to lie at the outer edge of the human auditory range, rasped, “Hello.” I introduced myself. There was a short pause, as if Vonnegut were fixing his gaze on me from the other end of the line, then he spoke. I assured him I did, and he hung up.Of course, I knew immediately what he meant. America had become a great nation because it had always kept its eyes on the future. That changed with the election of Ronald Reagan—when the Baby Boom generation, enthusiastic Reagan backers, became the largest cohort in the electorate and began to rise in the political and economic worlds. 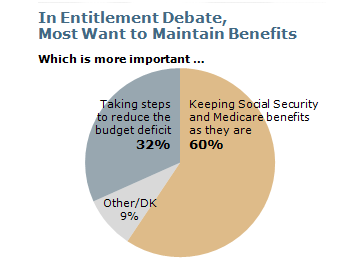 The Boomers’ sense of entitlement was beginning to manifest itself in the long battle over what are known as “entitlements”—especially the original and largest, Social Security and Medicare—and what they say about our attitudes toward future generations. That question is now playing out in the tension between perhaps the longest-held desire of traditional conservatives—if not to end completely at least to eviscerate entitlements—and the completely contrary views of Donald Trump and his core supporters, who propelled the complete Republican seizure of government. Trump, whose support lies largely amongst older Americans, has repeatedly promised that he won’t cut the entitlements on which his voters rely, but that clearly conflicts with his party’s agenda in Congress, and, so far, when the former have collided with the latter, the latter have won.Even before the newly-minted GOP tax plan passed the Senate, adding a whopping $1.5 trillion to the national debt in order to give away the store to corporations and the wealthiest Americans, these lawmakers were already “discovering” that their own profligacy requires bringing down the deficit by (you guessed it) cutting entitlements. Speaker Paul Ryan announced that “we’re going to have to get back next year at entitlement reform, which is how you tackle the debt and the deficit,” even as he began negotiations with his Senate counterparts over exactly how much they’re gleefully going to increase the very same debt and deficit. Democrats, and most Americans, will rightly resist such a cynical gambit. But that leaves the very real challenges of the deficit, entitlements, and the future they largely will frame still unresolved.The fundamental problem is that Social Security and Medicare were sold to the public on a fiction—and until Americans grapple with that, they’re unlikely to achieve a consensus on fixing the programs. When President Franklin Delano Roosevelt pushed through Social Security—a guaranteed retirement income—in the wake of the Great Depression, it was a different America. For one thing, growing old in America prior to 1935 basically meant growing poorer and poorer: Half of all seniors lived below the poverty line, more than any other age group. By 1960, that had fallen to 35 percent—but still double the rate amongst all other Americans. Today, thanks largely to entitlement programs, and belying the conservative mantra that government doesn’t know how to fight poverty, the elderly poverty rate stands below 9 percent, the least amongst any age cohort. This is all a fiction.Because of the carefully cultivated impression that beneficiaries are simply receiving back their “own” money, plus investment gains, Social Security and Medicare are regarded as politically distinct from welfare or other benefits the recipient didn’t “earn.” The crafty Roosevelt understood this, famously declaring that “no damn politician can ever scrap my social-security program.” The remark proved prescient when those protesting Obamacare’s expansion of health care to non-seniors demanded that the government keep its hands off “their” Medicare.But it is hardly “theirs.” The average Medicare recipient receives treatment totaling the full amount of his or her lifetime contributions, plus a market rate-of-return, within the first two years after retirement; after that, it’s all income transfer from other Americans. 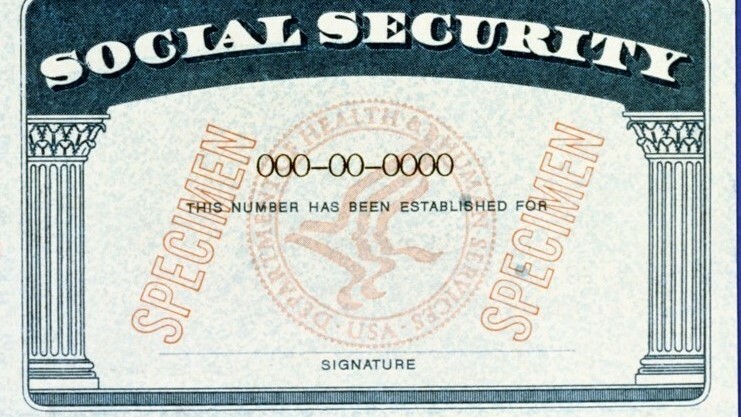 Over the remaining years of life, the average retiree can expect to receive Social Security benefits amounting to a roughly 30 percent bonus over what she paid into the system (plus interest)—all from Americans currently working. Even overtly welfare-ish Medicaid payments—originally intended to provide care for poor children—now go largely to long-term care for mainly middle-class elderly.Essentially, then, our major entitlement programs don’t just pay back “contributors” what they themselves put up for their own pensions and old-age care: They represent the grandparents if not “stealing” from the grandchildren, as Vonnegut put it, then at least living off them while pretending not to. And with “grandparents” living longer and Boomers retiring at the rate of one per hour, spending on entitlements is growing and consuming an ever-larger share of both government expenditures and the nation’s economy as a whole. Since roughly the time the first Boomers started retiring, the entitlement system has been paying out more in benefits than it takes in from dedicated payroll taxes. The total shortfall—made up from general revenue—currently comes to $311 billion. But after 2034, the trust fund reserves—the assets built up over the years for the Boomers’ retirement from their own contributions—will be fully depleted. From then on, the system will run solely on payments from those in the workforce—and, at current rates, these will be only enough to pay about three-quarters of scheduled benefits. Either taxes must go up, or benefits must come down. * * *Liberals traditionally argue for the many seniors who could not afford to sustain cuts: The bottom half of all seniors depend on Social Security for 80 percent of their incomes; for 61 percent, it constitutes at least half. With the average benefit at roughly $1,500 per month, cutting benefits for the majority of recipients could be devastating. But if the entitlement benefits of retirees are not reduced by roughly one-quarter, in gross, over the next two decades, then the payroll tax rate on workers will need to be raised by that amount.Republicans in Congress, led by Speaker Paul Ryan, long have argued for benefit cuts, of course, not additional taxes. “Frankly,” Ryan added in his statement on the budget last week, “it’s the health-care entitlements”—meaning Medicare and Medicaid—“that are the big drivers of our debt.” In case that’s not clear enough as to what they plan, Florida Senator Marco Rubio declared that “The driver of our debt is the structure of Social Security and Medicare for future beneficiaries.” Rubio’s “tell” about cutting “future beneficiaries” is in fact the cornerstone of the cynical GOP strategy. These anti-government crusaders point to the projected explosion in deficits and the ratio of public debt to national income over the term of the Boomers’ retirement to argue for dramatically squeezing entitlements out of existence—but, except for cuts designed to hit the poorest hardest—not during the burgeoning Boomer blow-up: only afterward. Ryan’s much-ballyhooed budget plan, A Path to Prosperity, didn’t start cutting the deficit, or even transforming Medicare, for the next 10 years; it didn’t achieve its stated goal of downsized government and balanced budgets for 30 years in the rosiest scenario (more like 40, according to the non-partisan Congressional Budget Office).Our entitlement system was designed to fund current generations out of the taxes of younger and future generations (while pretending not to). This intergenerational compact not only made sense, but also worked, when working Americans were largely in far better financial shape than senior citizens, and population growth and economic progress went more or less hand-in-hand in steady progression. But not only is the elderly poverty rate no longer 50 percent but, rather, now 10 percent: The wealthiest, highest-income age cohort also is now those Boomers nearing retirement. The second wealthiest? Those already in retirement.Who’s not doing well in the current economy? Younger Americans. (This is even more true for children: The poverty rate amongst children in America has now risen above 20 percent.) And they’re being asked to cover a heavier and heavier burden for the old: When Social Security was launched, there were 42 workers paying Social Security and Medicare payroll taxes for each individual retiree. Today, that ratio has fallen to just under three-to-one, and will fall again as the Boomers retire. Every young couple today can expect to foot the bill for a Boomer’s retirement—not counting, of course, their own parents. But those younger Americans will be working off a lower stock of capital than the generation they’re being asked to pay for. 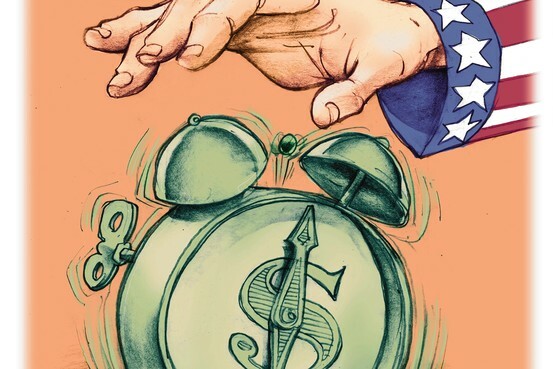 As the Pew Research Center’s Paul Taylor succinctly summarizes it in The Next America: Boomers, Millennials, and the Looming Generational Showdown, “Fifty years ago, the government spent $3 on public investments that spur economic activity for every $1 it spent on entitlements. Today, that ratio has flipped, and within a decade the government will be putting $5 into entitlements for every $1 that goes into roads, education, scientific research, and the like.” By the time all the Boomers retire, programs to pay for them—plus interest on the national debt they’ve run up in the meantime—will consume more than 90 cents of every federal dollar. As Taylor notes, “A 2013 cross-national study … found that the US ranked worst among 29 advanced countries in [imposing] unfair burdens on future generations.” (This is reflected in declining private savings and pensions, and increased levels of household debt, as well. )Nevertheless, while the numbers of retirees—and the corresponding cost of entitlements—will mushroom over the next three decades, this doesn’t last forever. The share of workers’ taxable earnings needed to fund Social Security will grow from its current 13.7 percent (roughly what we’re already paying in payroll tax) to 17.0 percent in 2038, but it will start to decline after that—as the Boomers die off and the relatively smaller Generation X predominates—until 2051, when Millennials start to retire. But paying for even the larger Millennial generation at that point will not present as severe a challenge as the Boomers do.Which begs the question, why would we “reform” entitlements in a way that delays the changes until the problem they are supposedly intended to address will be largely history, imposing draconian cuts on the future? This amounts, purely and simply, to forcing our grandchildren both to pay for our profligacy today and our parsimoniousness tomorrow—or, if you prefer, our liberality toward ourselves and conservatism toward everyone else.It may be too much to ask the aging Me Generation to care about the future for its own sake. But hopefully they’ll realize soon that they can’t really cash those IOUs they signed in their grandchildren’s names if they simply continue to steal from them. 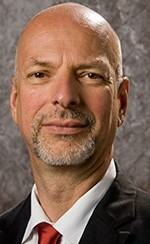 Eric B. Schnurer is the president of Public Works LLC.